The IE Library Discover a research and learning center for the exchange of knowledge. The IE Foundation is deeply committed to supporting the IE Library, whose work encompasses all of the aims and principles of the Foundation. IE Library is open to all members of the IE Community, as well as to researchers from other institutions, thanks to its interlibrary loan program. 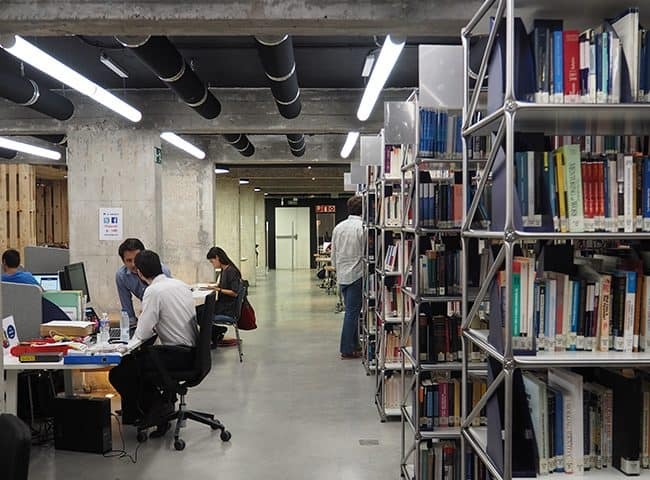 Offering personalized service both on-site (with locations in Madrid and Segovia) and remotely (through the Virtual Library), the library provides the academic community with the most innovative resources and materials in research and education. Innovative applications like Qubbits or Smart Areas make using our services more comfortable. Our innovative virtual library allows you to access the library’s catalogue at all times, wherever you are. Our students have access a variety of resources including databases, ebooks and academic journals. The IE library participates in projects and events throughout the world in order to stay at the cutting-edge of the latest advances in the sector and to bring IE’s vision across borders. The IE Library offers our community access to academic materials and advanced technology. It also hosts and participates in many educational and informational events.